“Nothing personal, it’s just business,” was a saying coined by an accountant for the mob in the 1930s. A business where distancing yourself from the human impact was a pretty imperative requirement. But business is personal—in fact most people would argue that relationships or being ‘personal’ is the foundation for any successful business. And in family businesses, being personal is the foundation for both the business and the family. What’s the point of having a successful business if it destroys the relationships in the family? Objectivity reigns supreme in sustaining both the business success and personal relationships, forged by a relentless commitment to measurement: setting the right goals; choosing the right system to track implementation and performance; and convening regularly to review and evolve as required. In the first article in this series, we talked about the three steps in the CG one™ planning process which are; Create Clarity, Focus Behaviors and Measure Results. The first step, Creating Clarity involves the definition of mission, vision and values. In the second article, we looked at Focusing Behaviors which involved identifying the strategies, game changing projects, and critical behaviors that would take the business to the next level. In this article, we’ll focus on the third step in CG one which is Measuring Results. Putting a system in place to help family members measure results is critical to maintaining healthy, productive relationships within the business and family. Early in my career I had a boss who taught me the rule of ‘No Surprises.’ He explained that it was OK if mistakes were made, but he didn’t want to be surprised by learning about the mistake from someone other than me. This rule of ‘No Surprises’ is critical for family members who work together; the feeling of family solidarity is so important to maintain. In my experience working with family businesses, the ultimate enemy of healthy relationships has been a loss of trust. A commitment made in business is the foundation of trust, and trust is created by doing what you say you’ll do. When trust is eroded by a lack of follow through, it can quickly disrupt both the business and the family. A planning process that includes clear and tangible measurements can help families avoid both. Creating a plan is the first step to defining clear expectations among family members, but a mistake frequently made in the planning process is pausing too long after the creation of the plan. Sometimes leaders are so relieved that the planning process is completed, they drop the ball on the next phase of the planning process which is implementing a systematic method for tracking results and bringing visibility to the commitments family members have made to each other. The first step for creating an effective measurement system is choosing a system to document and track the implementation of the business plan. The key to choosing a system is first, that it provides transparency—all users need to have access to all planning information on the system, and second it must have monthly reporting that will enable users to track progress on plan implementation. This can be done using spreadsheets which are shared on a company server, or there are cloud-based software solutions, like the One Page Business Plan™ which has built in Scorecards for metrics and Monthly Progress Reports to track the status of timelines for game changing projects. The advantage of this type of system is that it provides a consistent platform for plans and is relatively easy to implement. The last step for setting up the measurement system is to define the meeting rhythm which will best support implementation of the plan and insure consistent communication. Most business owners find that a monthly check-in is necessary to maintain focus on the plan timelines and quarterly meetings are helpful for re-evaluating and adjusting the plan. So how do you ensure that your “best laid plans” don’t fade away into the day-to-day operations of running the business. The key is to have a commitment to the established meeting rhythm. Family members can’t disregard a scheduled meeting because ‘it’s just family’; they need to treat those meetings with the same importance as they would a meeting with their most important customer. To insure a productive meeting, it’s critical that all participants prepare for the meetings in advance by reviewing all plan updates and coming to the meeting prepared with questions or suggestions for other members of the team. The idea is that the management team holds each other accountable for plan results—they act as an advisory committee for each other. Accountability isn’t about being punitive when targets are missed. It’s about asking “why” and figuring out if the target is still legitimate, if circumstances have changed or if there are previously unseen barriers getting in the way. Once a measurement system is in place, the process creates a productive tension around the topic of performance and results. The key is to create a system and structure for family members and the management team to come together on a regular basis to evaluate results and discuss challenges. The focus of measurement is to be constantly re-evaluating, re-tooling, and adapting the plan to changing circumstances. Having a process in place to measure results won’t insure that everything in the plan gets done, but it will help to maintain realistic expectations, reduce surprises and ultimately preserve the feeling of trust in the relationships, especially for the family members. This is the third article in the Close to Home series. View the first article: Close to Home: Clarity, Focus and Results for the Family Enterprise and the second article: Close to Home: Focusing Behaviors for Family Business Planning and Protection. Without quantifiable goals, you have no way of evaluating your progress. 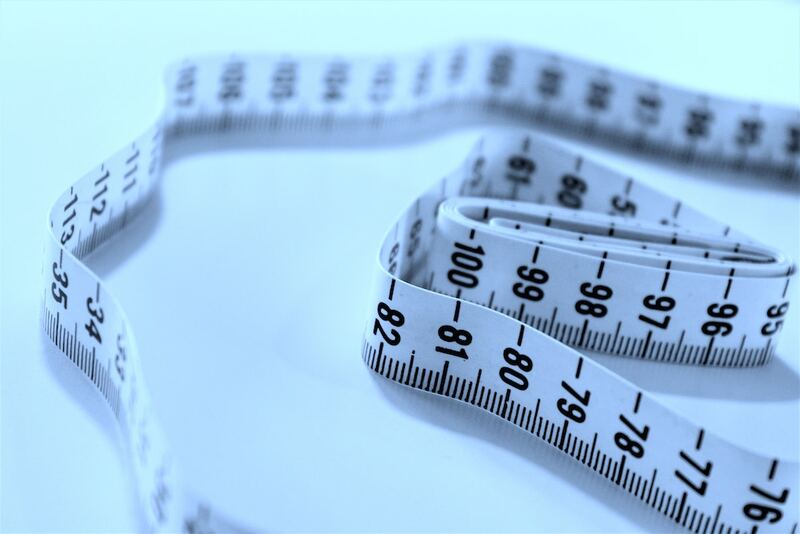 Measurement is part of the culture of an excellent organization. Excellence requires having a standard so you know what you want to be good at. Measurement tells you whether you are. Clear measures help to motivate and guide teams of individuals towards positive outcomes because they provide an objective indicator of progress forward. An environment with performance measures provides individuals with consistent and clear feedback on their performance. In fact, learning is rooted in measuring. To accelerate learning, organizations should work to have every person in the organization have at least two to three key measures that will help them improve in their roles. What other measurements have you implemented?